I peered around the little net curtain in our Goldilocks wooden cabin and looked down on clouds and into the distance far across a valley. We had woken up in the sky! There were other fairytale log cabins dotted around us and squat round cabins shaped like enormous beer barrels. Little paths tottered down the hillside between them, leading to the ‘resort,’ I assumed. We were going to have a few days resting in the stillness and visit Tatev Monastery. My faith in resorts wavered pretty quickly trying to have a shower. It either burnt me or froze me. Scott said I was to relax and leave it to him and he disappeared into the little bathroom from which all sorts of water and pipe noises could be heard. He emerged twenty minutes later in a cloud of steam and said it was ready for me. ‘Don’t touch anything!’ he cautioned and I gingerly stepped into the bathroom where the toilet was open, the sink taps were full on and splashing everything, the shower was directed somewhere above my head and there was a loud squeaking noise of complaint from the whole plumbing system. Still, using what he likes to knowingly call ‘Manc Skills’, a shower was had and enjoyed. Now I was all set for breakfast – and a resort breakfast means a buffet and some good quality coffee – the last I remembered had been in Tbilisi. 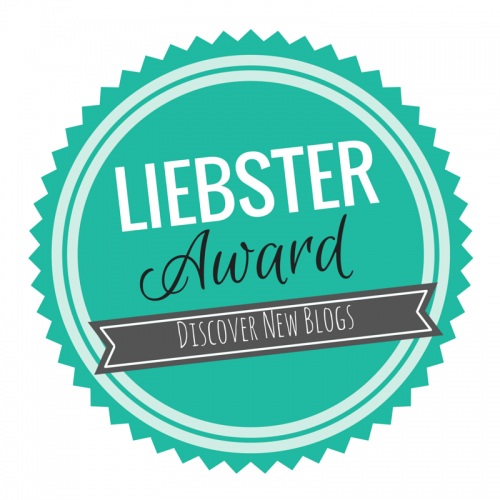 Being new to blogging, I didn’t know what The Liebster Award was until a couple of weeks ago. It is such a great idea, as it is passed on by fellow travellers and bloggers, as a way to recognise and help give exposure to new blogs, and to share good content. Whoever thought of it (I couldn’t find out who) started a great chain! My site is really a travelogue with pictures, and not necessarily as popular a form of blog as some, so I am very appreciative to Veggie Vagabonds. They promote vegan and sustainable living, which is very close to my heart as a vegetarian often travelling in the meatier places of the world. Their lively travel stories and recent article on how to go fully vegan have really inspired me. Read about their adventures, like how they nearly got caught in a wildfire in Portugal, and check out some great recipes! This was it! Leaving Tbilisi, we were finally in a mini-van on the way to Armenia – all Scott could have wished for his 40th birthday celebrations. The windscreen had a river of cracked tributaries, and the driver allowed his seatbelt to rest undone somewhere near his belly, as though this token gesture to safety was the same as safety. He talked on his phone with his right hand and smoked a cigarette with the other. He still somehow managed to steer us wildly around corners onto oncoming traffic and hold a conversation with the woman next to him. Would Scott reach 41? It is safe to say that we were the only non- Armenians out of the six passengers, who consisted of two heavily made up middle-aged women with large plastic bags, and two heavily made up younger women with small fake designer handbags and carefully tousled hair. All four women had the most extraordinary faces; proud romanesque noses, large almond eyes and high cheekbones. I whispered knowingly to Scott that the most beautiful of them had had ‘work’. I was proven wrong by the end of the week as she looked like all Armenian women – vividly real and imaginary at the same time. I tried to take a few surreptitious pictures of her but she was always a little out of shot or too far away. She got out of the car to be sick at one point at the side of the road, and it felt a bit mean to snap her then. We had to travel via Georgia as the border between Turkey and Armenia is permanently closed. It was Scott’s turn to organise transport so he took on the challenge and got online the night before, in the miserable hotel in Kars. There were two borders where we could cross, and the nearest was a few hours away high up on the plain near a village called Posof. There was no public transport but we could try to find a Marshrutka, which is a large shared mini-bus with no timetable, to take us to there, and then hitchhike over the border. It had all seemed possible and now it didn’t. No wonder no one goes into Georgia via this route. Scott was hoping to prove himself, as he was still smarting over the rip off in the taxi in Istanbul – for a Mancunian, not being ripped off is a matter of honour. The hotel receptionist had been decidedly unhelpful when we checked in and told him that, no, we were not in Kars to see the famous Ani ruins, but to leave again as fast as we could. We had a breakfast of strings of tasteless white fibres which I think was cheese, and turkish tea, as we prepared to get the hell out. I was imagining the glass of wine that awaited me at the other end of the journey in Tbilisi, 395 kilometres away and about 6 hours in a car if one had one. Despite the traveller posts of doom and gloom about the Tolkeinesque impossibility of the journey, it was a doddle in the end, which I let Scott take credit for. The receptionist had recovered from our snub, and told us about his mate who was driving in a mini bus to Georgia that very day and did we want him to give him a call. Less than an hour later and down by approximately 25 euros for both of us we were speeding away from the grimy streets and cow carcasses into the green plains and climbing high up into pockets of snow from last winter. It was bright and bleak, dotted with coloured houses, strings of electricity cables and distant peaks. The minibus driver drove at breakneck speed and I bashed my head on the window trying to take photographs. Now and then we stopped for a lone elderly man to hop on – heaven knows where he could be going as there was nothing up there.